Dr. Emily Chang uses aesthetic materials such as ceramics and mercury-free tooth-colored fillings. She strives for optimal oral health for her patients while taking into account patient comfort, aesthetics, and function. Dr. Chang received a Bachelor of Arts degree in Chemistry from Colgate University. She received her Doctorate in Dental Surgery from the University at Buffalo School of Dental Medicine in 1999. She continued her dental education by completing a residency at the Veterans Affairs Medical Center in San Francisco. Dr. Chang practiced dentistry in San Francisco for 8 years before relocating to the Boston area. She regularly attends courses teaching modern dental procedures and technology. She has taken continuing education courses in oral cancer, oral surgery, infection control, implants, preventive dentistry, and restorative dentistry. Dr. Chang is a member of the Middlesex District Dental Society, the Massachusetts Dental Society, and the American Dental Association. Dr. Chang's office is located at 474 Broadway Suite 110 in Somerville, MA. Dr. Russell H. Taylor earned his dental degree from McGill University in Montreal, then completed Advanced Education in General Dentistry Residency at the University of the Pacific. He is an Associate Professor of Dentistry at Harvard as well as the University of the Pacific. Dr. Taylor also teaches dentistry at the University of Hue in Vietnam in an effort to modernize clinical practice in that country. Dr. Taylor is a philanthropist who participates in charity clinics locally as well as overseas each year, donating his dental services to the less fortunate. During his 8 years in San Francisco, Dr. Taylor was the Team Dentist for the Oakland Raiders, Golden State Warriors and San Francisco Golden Gate men’s elite rugby team. 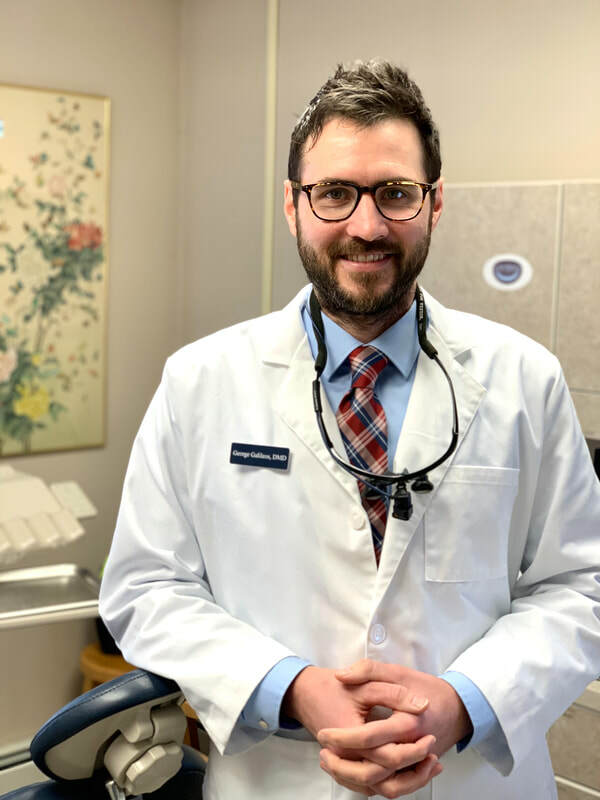 Dr. Taylor has received multiple awards including the Committee Person of the Year, Outstanding Resident, the Hanau Excellence in Prosthodontics, and American Association of Dental Public Health Dentistry Award. When he is not practicing he enjoys glass blowing and traveling. ​Dr. George Galileos was born in Boston and grew up in Thessaloniki, Greece. Dr. Galileos received his dental degree with Honors from Plymouth University School of Medicine and Dentistry in the United Kingdom. He returned to the U.S. to complete a post-graduate residency training in Advanced Education in General Dentistry (AEGD) at Boston University. 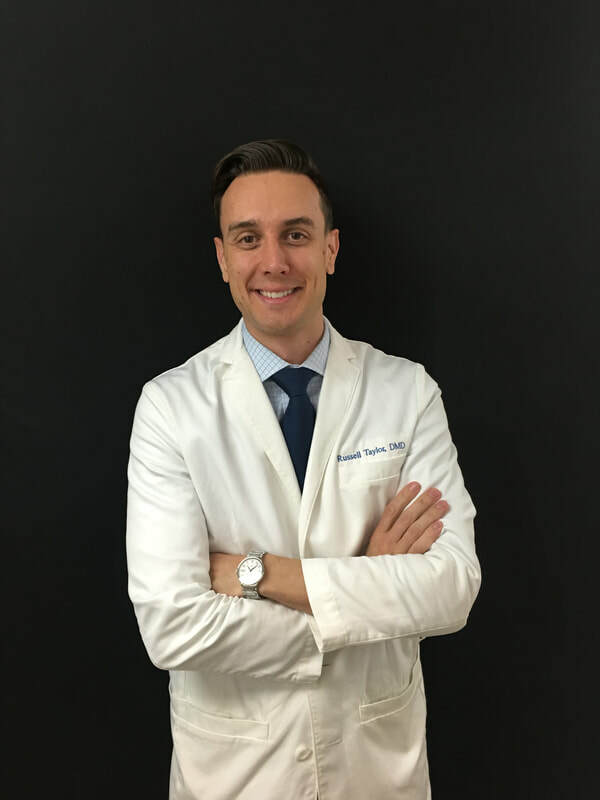 He has also completed the Advanced Standing DMD program at Boston University and was awarded the Dr. Remo A. Sinibaldi Memorial Award for Outstanding Achievement in Prosthodontics. He is trained in the newest advancements in dentistry and is certified in Invisalign. Dr. Galileos is a member of several professional organizations, including the American Dental Association, Massachusetts Dental Society and The Academy of General Dentistry. Dr. Galileos is experienced, highly skilled, and a gentle dentist. He is a wonderful addition to our team. In his free time, Dr. Galileos enjoys traveling, riding his bike, and spending time with his wife and young son. Dr. Danika Crabtree was selected to join our practice because of her exceptional clinical abilities and shared values in patient care. Dr. Crabtree’s enthusiasm and clinical skills make her an ideal practitioner for our community’s periodontal needs. Dr. Crabtree is a graduate of Nova Southeastern University School of Dentistry in Fort Lauderdale, Florida. She also completed her post –graduate periodontal residency at Nova Southeastern University. She received her Bachelor’s degree at Brandeis University in Waltham, MA. After working in the field of Microbiology as a Quality Analyst, she decided to return to dental school. She practiced in Florida, but is a native of Rhode Island and is excited to be back in New England. Dr. Crabtree is trained in surgical and nonsurgical periodontal treatment. She has extensive training in dental implants. As a periodontist, she will bring her esthetic eye to the placement of implants. Dr. Crabtree also performs extractions, including wisdom teeth. Dr. Crabtree is a diplomate of the American Academy of Periodontology. in Brazil for many years. 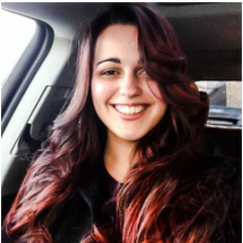 She became interested in dentistry and started working as a dental assistant in 2001. She loves what she does. Eliaci is certified in Radiology, OSHA, and CPR. She takes continuing education courses on a regular basis to learn new technologies. As an assistant, Eliaci is highly skilled at taking xrays. She has a gentle touch and she strives to make each patient feel as comfortable as possible. She makes every patient’s experience as pleasant as possible. Eliaci is originally from Brazil, but has been an American for many years. She is fluent in Portuguese, English, and Spanish. More recently, she obtained certification in Interior Design and pursues this in her free time. Lisa Koontz is a 2008 graduate of Bristol Community College where she earned a Associate Degree in Science and Dental Hygiene. In addition, she is licensed in local anesthesia. Her specialty is Non-surgical periodontal therapy. As a well-rounded dental professional, she was a Dental Assistant for 16 years before becoming a Registered Dental Hygienist. Her goal is to develop a long-term relationship with each patient and to assist each patient in attaining a lifetime of optimal dental health. Lisa lives in Lakeville with her husband and two children. Debora DaSilva has extensive experience as an Office Manager and adds great support to our front office. 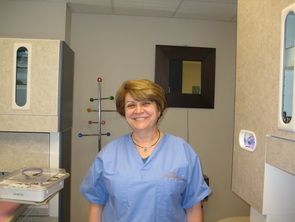 She is fluent in Portuguese and English, which always aids in the assistance of our patients and staff. She loves to serve our patients with her time and focus, always making their experience the best it can be from the moment they step into our office.